The much-discussed $6 billion Lincoln Yards project was all set for its penultimate vote Monday – a vote predicted to sail through the City Council Finance Committee. But Mayor-elect Lori Lightfoot issued a request to delay it, and Mayor Rahm Emanuel agreed, leaving the fate of the project up in the air. 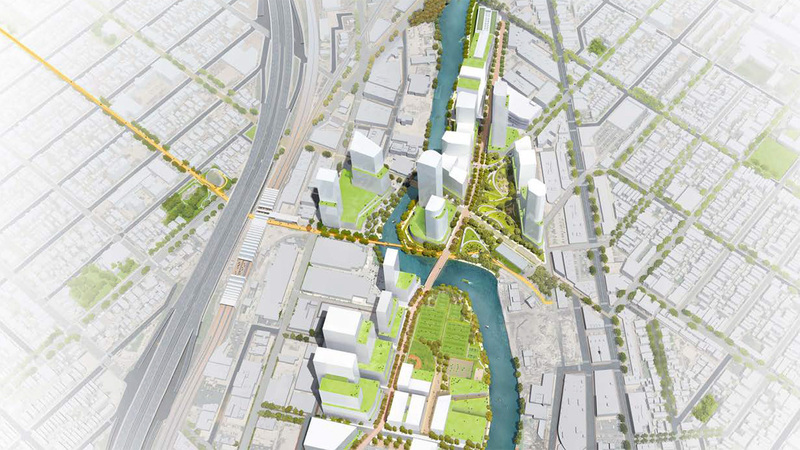 The vote Monday would have been to approve the $1 billion or more tax increment financing district that will help fund roads and bridges for the project along the Chicago River, near Bucktown and Lincoln Park. Lightfoot issued a statement Sunday night saying she would rather the committee have a public, open hearing on the matter than vote on it. Emanuel responded right before the Finance Committee meeting at 10 a.m. Monday, saying he’s committed to delaying any project that Lightfoot is opposed to. “While I firmly believe in the value of these projects to the entire city, out of respect for her wishes and request, I will honor my commitment and delay the vote,” Emanuel said in a statement. That chain of events caused confusion among City Council members, some of whom said they would still try and call for a vote. Ultimately, 40th Ward Ald. Pat O’Connor, the interim Finance Committee chairman, said they will meet again Wednesday morning and perhaps try again. “The intent of which is to give the mayor-elect and mayor of the city of Chicago an opportunity to determine whether or not they have a meeting of the minds on these projects,” O’Connor said. The project’s number-one booster, 2nd Ward Ald. Brian Hopkins, insists the votes are there to pass the project, if and when a vote is actually scheduled. But he warned that the developer, Sterling Bay, might back out if the project is delayed until after the next City Council is sworn in on May 20. But other aldermen believe that Sterling Bay should allow a new City Council to come in and vet the public financing portion of this one more time. Sterling Bay already has zoning approval to begin building its project on the site of the former A. Finkl and Sons steel plant. The project calls for mixed-use towers up to 600 feet tall, plus retail and park space. The TIF would fund new bridges and road upgrades in this area. City Council also voted to delay a vote on a similar TIF district that would help fund infrastructure for the 78. That’s a private development slated for a giant plot of land just south of Roosevelt Road and west of Clark Street. Despite the vow from Emanuel – and by extension, O’Connor – to not hold a vote, it doesn’t mean a vote won’t happen. Any alderman can decide to call the plan for a vote Wednesday if they so choose. The joint statements from Lightfoot and Emanuel make Lightfoot appear to be keeping a campaign promise and Emanuel appear to be polite and respectful of the new mayor, while the deal could still go through on Wednesday if it indeed has the votes. Another City Council committee on Monday approved an ordinance that gives the ride-hailing company Lyft exclusive rights to operate the Divvy bike-share system for the next nine years, in exchange for a $77 million payment. That payment would include money for new stations and bike upgrades. The competing ride-hailing company Uber has called on City Council to remove an exclusivity clause in the contract so that they can go forward with their own, $450 million bike-share system called Jump. Finally, an attempt to pass a bill limiting outside employment for aldermen failed and will likely be at the top of the agenda in the new City Council term. The full City Council meets for the last time this term on Wednesday morning.